and 3 of those weeks we were without The Flash TV Show as well. I think I was having withdraws! This week we got both! This issue is a nice, thick, entertaining read, with a great reveal at the end! I won't tell you what that is though, you'll have to read the issue for yourself! This time my #1 is Wally and his short little story at the end of this comic. 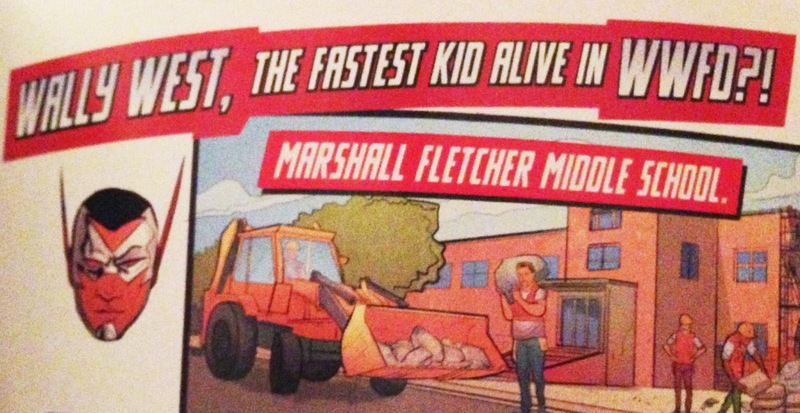 In the last few issues he's been having some speedy problems. The most recent one caused the Rogues to attack his school and got the Flash arrested. but in this mini story, he finally figures it out! the Flash saves and protects those who intend to lock him up. They're just so stunned and the Flash just simple says, "It's what I do." Now on to #3. This little gem just made me laugh! in The Flash Comics, I don't really have a lot of love for Eobard Thawne! I just laughed and laughed and laughed! Most of the prisoners get out, but not Eobard! And Now our Bonus Round! I just couldn't leave this moment out of my post, but it's not really something I "Liked." It's probably one of the saddest moments I've ever read! and then Mirror Master... Oh Mirror Master, When will you be on the CW Show? 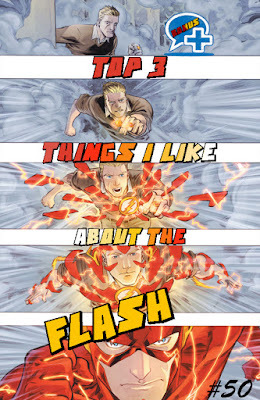 favorite parts of the newest Issue of the Flash!